The right of every human being to be communicated to in a language known to them, by any institution that would have any relations with them was made obvious in the way Maharashtra police used Marathi to obfuscate the intention of their search. India’s unresolved language muddle reveals new facets of its anti-democratic character every day, but no one could have anticipated the extent to which linguistic diversity can be exploited to terrorise people as was done during the recent raids on human rights activists, journalists, professors and lawyers. On August 28, some officers of the Maharashtra police accompanied by some Telangana police of various ranks forced their way into the house of my colleague K. Satyanarayana, professor and dean of the School of Interdisciplinary Studies at the EFL University. He and his wife Pavana, who was about to leave the house for work, were divested of their phones and refused permission even to talk to their neighbours. Failed attempts to reach them by phone to inform them of the simultaneous raid on Satyanarayana’s father-in-law Varavara Rao’s house eventually led to the discovery of police vehicles outside Satya’s flat and the suspense that followed for the next eight hours. As we found out later, they showed a paper in which the residents could only make out the name of Satya written in Nagari script and the flat number. They said the raid was related to the Bhima Koregaon case and cited orally several sections of the IPC. They cited CrPC clause 166 as authorising their incursion and proceeded to pull things down from shelves, turned the whole flat upside down. Even this reference to a code was perfunctory, unaccompanied by any explanation of the contents of the said clause. They forced themselves into the house without any further attempt at explanation and without serving Satya with the search warrant. When they entered the flat they assured the couple that they would be done in 15 minutes. In fact the process dragged on for over eight hours. They eventually left, leaving behind a thoroughly vandalised house. The actual document which they claimed authorised the search, which they showed not before entering the flat but much later when it was demanded by Satya, who wanted to know what he was accused of, was in Marathi and the only reason given in it for the search was the possibility that Varavara Rao might be hiding there! By the time this raid began, Varavara Rao had already been put under effective house arrest in his own flat, but eight hours of vandalism was justified as a search for Rao in a three bedroom flat! Further, an atmosphere of terror and fear of arrest was deliberately created and maintained through the day simply by denying the victims the knowledge that the document in their possession was only a search warrant. Not only was the pseudo-warrant in Marathi, the ‘panchnama’ prepared by the officers on the spot was also handwritten in Marathi. One wondered how the Telangana police could have allowed such an action which clearly was an encroachment on their jurisdiction. For there was no official document or communication of any kind which was written or communicated to the couple in an official language of the Indian state – English or Hindi – or in an official language of the Telangana state – Telugu or Urdu. It also made one wonder whether the imperial consciousness of the Peshwa-era was still at work in the state functionaries of Maharashtra. But as it turned out neither of these was the case. We realised on that evening the Telangana police had been in possession of an English language version of the Marathi search warrant. In other words, they had an English translation available all along, which they may well have submitted to the Telangana police while seeking their assistance, but did not show it to the person whose house they were raiding! And when it was demanded, they showed a document that he could not read rather than the one which would have clarified matters for him. The Telangana police had not surrendered their jurisdiction but had actually colluded with their Maharashtra counterparts as they indulged in nefarious ‘linguistrickery’. Worse was to come in the form of the ‘panchnama’ also prepared in Marathi (being a document of the proceedings of the raid prepared on the spot, there was no English version to conceal) which was placed before the victim for his signature. Satya had begun to insist since the afternoon when they first told him about it that he would not sign the panchnama without hearing a translation of the text by someone of his choice. They only relented when they saw that they couldn’t get his signature otherwise. As the flat was located in the faculty housing complex of a university, it was not difficult to find a reader of Marathi who was finally allowed to enter. And in the text that was purportedly a record of the details of the raid, it was stated that Varavara Rao was found in the flat! When our Marathi-speaking friend explained this to Satya and he asked the police how they could write such a thing, they did not bat an eyelid but offered to rewrite it to say that he stays at this place occasionally. Another aspect of this translation drama that deserves mention is the Telangana police’s annotated translation of titles of books for the benefit of the Maharashtra police. To the Hindi translations of each title of a book on human rights, literacy activism, women’s organisations etc, the Telangana police would add that they were all front organisations of Maoists. Deepa Dhanraj’s documentary of K. Balagopal, the late human rights lawyer and writer, was translated as a “documentary on a Maoist martyr”. Satya and Pavana had to intervene repeatedly to correct these statements. The arrested activists: Arun Ferreira, Sudha Bharadwaj, Varavara Rao, Gautam Navlakha and Vernon Gonsalves. Much has been written about the other aspects of the raids, the prying and probing, the moral lessons, the advise to stop reading books and other absurdities that beggar belief. But the way that language has featured here as a wall of suspense and fear needs to be looked at more closely. Indian language policy is more or less deliberately designed to enable a dirigiste class to maintain the position of pre-eminence awarded it by the British and slow down any attempts by those who are destined to be led by them to join its ranks. As such, the effective division of the polity into Anglophone and vernacular segments continues the long tradition of what a historian has described as ‘colonial bilingualism’ which moreover overlaps with class divisions in Indian society. In this particular case, we can see that while the Anglophone world may pass laws and impose them through a vertically organised devolution process, on the horizontal level of relations between language worlds, much scope exists for obfuscation, deliberate withholding of information through strategic ‘code switching’ and other devious and illegal activities by functionaries of the state. The Boers of South Africa, subject to British rule in their new homeland in the early 20th century, refused to speak the language of the oppressor. Their attitude was, “You have subdued us, if you want us to obey you, give your commands in a language that we know, for we will not learn your language in order then to be ordered about in it.” Gandhi, then a young lawyer practicing among Indians in South Africa, was very impressed by such a dignified resistance and often referred to it in a tone of admiration tinged with envy. He felt that by comparison, Indians had all too easily succumbed to English power and language. In fact, the Boer resistance to language oppression was an important inspiration behind Gandhi’s life-long interest in the relations between language and freedom. The right of every human being to be communicated to in a language known to them, by any person or institution that would have any kind of relations with them, is a fundamental right that has its origins in such moments of resistance. Indeed, there are many instances of the care that some governments take to ensure communicability of laws. Among many others, one striking example comes to mind because it involves intelligibility not across languages but within one language. Some years ago, the municipal council of Nottingham in the UK put out a list of neo-liberal jargon to be avoided in municipal documents to ensure better intelligibility. Among the terms was one – ‘stakeholder,’ a word that can make much mischief in the world of administration – which is freely used in India by people who are the least bothered whether it makes sense to anyone other than themselves. In India, we have managed to ignore this right with impunity by adopting and perpetuating some of the colonial state’s powers of pre-emption of democratic demands. The victims of the recent raids by a government desperate for distractions were all educated men and women with enough political and legal knowledge to recognise and question the ‘linguistrick’ that was being played on them. Millions of ordinary Indians, on the other hand, have neither political awareness nor legal knowledge and not knowing English or Hindi either, suffer in silence the indignities of colonial bilingualism redux. The wall of language – ‘its like talking to a wall’ – frustrates their hopes and aspirations with relentless tenacity. 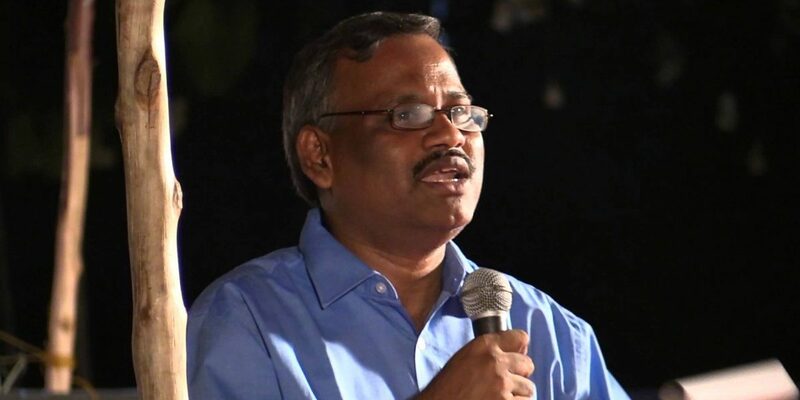 The experience of linguistic impenetrability by Satyanarayana and others targeted in the recent raids has dramatically highlighted a ubiquitous but invisible feature of everyday Indian existence. When these people were asked to sign on documents written in Marathi, the violation of rights stood out sharply. But in the case of the millions who face a similar situation vis-à-vis English and Hindi, the violation remains practically unacknowledged. The Supreme Court of India has just given a verdict which releases millions of Indians from the shackles of an antiquated law governing sexual relations. This and other judgments in recent times point to a new respect for fundamental rights which shows that the judges of the Supreme Court are sensitive to the deep changes underway in Indian society. In thirty years of capitalist economic growth, Indian subjects and their bodies have been released from their pre-assigned positions in familial structures and thrown onto the market where commodification of labour power is the reigning logic and a new experience of individual ownership of bodies comes into play. Language too is a personal effect which will demand recognition as capitalism continues to destroy the old orders bit by bit. A new linguistic order, re-negotiated with full participation of all ‘stakeholders’, will be essential for the future rational management of capitalist upheavals. It is doubtful whether the Supreme Court can or will venture this far to encourage democratic restructuring of a quasi-colonial state. In the meantime, one can only hope that the court will give its opinion and ruling on the linguistrickeries engaged in by the police of two states of the Indian Union as they harassed and intimidated my friends Satya and Pavana and the others elsewhere in the country. The court and the rest of us would do well to pay heed to the larger issues of language that we face as a federal polity, of which this particular example of misuse is a stark and dramatic instance. 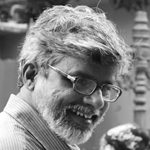 M. Madhava Prasad is a professor at the department of cultural studies, English and Foreign Languages University, Hyderabad.